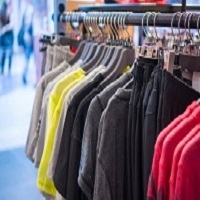 The share of UK clothing shoppers that purchased accessories fell from * 50.6% in 2016 to 40.9% in 2017, equating to four million fewer consumers and £390m in lost revenue, according to GlobalData, a leading data and analytics company. The company’s latest report ‘The UK Accessories Market 2017-2022’ reveals that this is based on an average annual spend per head of £98, and lead to a volume decline of 0.8% in 2017 compared to a flat performance in 2016. ‘*’ The survey data is taken from GlobalData Retail’s 2017 clothing survey of 5,000 shoppers.